I was thinking that it is a good time to write this post about winter tyres when the winter is just a few months away and we did not have much snow this time last year (at least not in Yorkshire UK). But we are only two months from next winter? So, (what the heck). 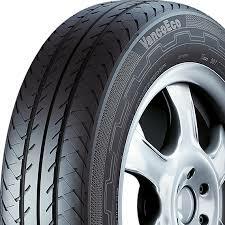 We find that more and more of our regular customers are now buying these tyres. So many in fact that we decided a few years ago when we had our first cold and snowy winter, that we would start a “tyre hotel”. This is where the customer buys a set of winters and we fit the Winter Car Tyres and store the summer ones until the spring and then change the tyres over again. We charge for this service, but the tyres will last then three or even four winters, depending on the make and quality. no exception to the rules. France has many mountain ski resorts Snow Tyres and the Michelin winter tyres are well tested and designed to give the French tyre buying public a no choice option, the French love to buy home brand products, as any visitors to France will not fail to observe the amount of French made cars that they buy and it is the same with other products. Going back to the Dark Age’s winter tyres were chunky things with loads of tread rubber and were very noisy. Only rich people could afford them because they had to have them fitted to go abroad (mainly France) on skiing holidays. Because of the heavy tread patterns, the tyres were very noisy and no good for travelling at speed on motorways. Tyre manufacturers began to refine these tyres as our cars became faster and more motorways were being built across the whole of Europe. Drivers in Germany would set off skiing for a long weekend in their BMW’s and Mercedes. travel down the Autobahn (German Motorway) at 100 mph+ and then go up the mountains of Austria and France for a weekends skiing. It was clear that a different type of winter tyre had to be developed to cope with this new type of driving experience. Michelin developed the Michelin Alpin 5 and other tyre makers followed. They used different compounds (silicas were added) and included thousands of small slits in the pattern design, known as (Sipes) . These sipes did two things scattered the snow, mud and water and made the tyre much quieter to drive on and therefore a more comfortable drive at speed on the motorways in winter. This is where Michelin winter tyres are the leaders. The new Alpin 5, has been even more improved to give even more driver comforts when using their cars in the winter months whatever the weather throws at them. The studies conducted by the Traffic Accident Research Chair of Dresden University in Germany (VUFO)*, European motorists drive mainly on cold roads in winter, whether dry or wet, but do not have to deal with snow very often, although since the report we have experienced an increase in colder weather and more snowfall. The report showed that 92% of accidents occurred on dry or wet roads and the remaining 8% on icy or snow covered roads. This where the winter tyre gives the motorist protection in winter with winter tyres fitted to their cars, they are more protected even on wet roads with winter tyre fitted.